Why Ship to Hong Kong? What can I send to Hong Kong? What items are restricted? When traveling abroad, whether it’s for a quick break to see the sights of the magnificent city of Hong Kong or for an extended period to really get to know the city and its surrounding area, there are plenty of home comforts and extra things that you may like to bring with you. Send My Bag is the perfect solution if you are concerned about the amount of luggage you want to take or bring back with you. Perhaps you have heavy or oddly shaped items that might incur oversized baggage fees, such as bikes or heavy hiking boots. Send My Bag can pick your oversized or extra luggage directly from your front door and deliver it to your destination in Hong Kong, wherever that might be. It takes all the hassle out of travelling since you don’t have to worry about missing luggage, extra charges that you might incur or having to transport your luggage from the airport to your accommodation. Hong Kong is an increasingly popular choice for students looking to study abroad. Send My Bag can help students relocate to Hong Kong, allowing them to bring all the books, equipment and clothing that they need, thus allowing them to settle in quickly. Sending your luggage and boxes to Hong Kong is easy with Send My Bag. If you send your luggage you will make your journey to Hong Kong a lot more enjoyable, with no need to wait around to check in baggage or to pick it up from luggage carousels. You also don’t need to worry about how to get your luggage to your accommodation from the airport. If you are moving permanently to Hong Kong, sending your luggage means you can bring with you lots of your beloved possessions to help you set up home there. To read more about sending luggage to Hong Kong, take a look at our ‘How it works’ page, or our ‘FAQs’. Despite consisting of a single city, Hong Kong has around nine golf clubs for golfers to choose from. The best include Jockey Club, Clearwater Bay and Discovery Bay. So, as well as enjoying the hustle and bustle of the city you can take some time to relax with a few rounds of golf. You can enjoy your rounds of golf using your own clubs, rather than renting clubs when you arrive, by sending them to Hong Kong with Send My Bag. You can also avoid oversized baggage fees from your airlines by sending your golf clubs. See further information on how to send golf clubs with Send My Bag, including how best to package your golf clubs. Hong Kong has both urban and rural areas that you can cycle through. You can do this on your own bicycle by sending it with Send My Bag. Your bike will arrive at your hotel, ready for you to pick up and get started cycling around Hong Kong. Sending your bike to Hong Kong is a better option than checking it into the hold of your plane. You will avoid oversized baggage fees and won't have to carry the bike to and from the airport. Your bike will need to be taken apart and properly packaged before being sent to Hong Kong. Check out our information on bike shipping to learn more. You will have to look into international removals to Hong Kong if you are relocating to Hong Kong permanently. If you go for this option, make sure all your items are carefully packaged so that they arrive in one piece. Use suitable packaging for your items and tape everything up well. 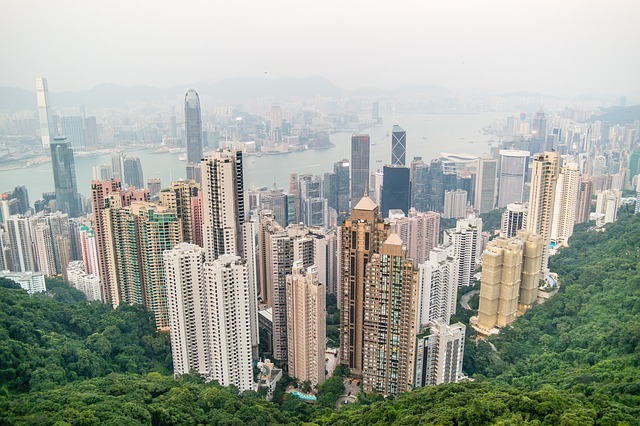 The eight public universities in Hong Kong use English as their language of instruction, making their degree courses accessible to many English-speakers around the world. Why not study in Hong Kong and experience this East-meets-West culture? To study and live in Hong Kong you will need to bring lots of items with you, such as your course textbooks and many other items, like novels, clothes and photos. Send My Bag can ship all these items for you and take the hassle out of your move. Read more about student shipping on our student removals page and find out how to receive your student discount. Send My Bag sends parcels to Hong Kong, allowing friends or family members to send you things while you are abroad, such as something you accidentally left behind at home. It couldn’t be easier to send a parcel to Hong Kong with Send My Bag. Choose a sturdy box, pack up your items safely and tape the box up well so nothing gets damaged in transit. Find out more about sending a parcel and learn what you can send with Send My Bag and how to package your items. If you need to send more than parcels, baggage and luggage to Hong Kong, you could look into the following options for shipping items internationally, especially if you need to send large items like a pool table or dining table. You could try air freight when sending a large item like an armchair or sofa to Hong Kong. This kind of service normally takes around one to two days. This tends to be quicker than sea freight shipping, but usually more expensive. Keep in mind that you will probably also have to pay a customs agent to handle customs clearance for you. Another thing to consider is getting your items to and from the airport. The price could, therefore, quickly mount up. If you send internationally by air freight to Hong Kong your items will likely arrive at Hong Kong International Airport. You could instead try sea freight or container shipping to get your possessions to Hong Kong. Large bulky items are loaded into containers, which are, in turn, placed onto cargo ships. You will need to wait several weeks for your items to arrive, though it is normally less expensive than air freight. However, you will still need to pay for the services of a customs agent and will need to arrange how to get your items to and from the ports. When using container shipping to Hong Kong, your items will most likely arrive by ship at Hong Kong’s main shipping port. The second time using this service would recommend to everyone! Super fast, super efficient. Costly, but very easy, smooth process. would definitely use the service again if I needed to. Because most countries allow a free personal effects allowance, the majority of shipments with Send My bag will not be stopped by customs. Personal effects are normally viewed as used items that the sender has owned for at least 6 months. If Hong Kong customs officials find brand new items in your shipment you may be charged taxes and duties. You should bear this in mind if sending gifts in your shipment. Before sending gifts to Hong Kong, please make sure you are aware of any duties you will have to pay and attach all required documentation to your shipment. To show that you are only shipping personal effects, you will need to write a short packing list, set out as follows: "3 x Cotton Shirt x 1 x Leather Jacket, 4 x Jeans, 2 x Chiffon Dress", etc., rather than as "10 x Used Clothing". As customs processes and allowances vary according to country, we suggest all travelers take a few minutes to find out how their personal circumstances and what they are sending will be assessed under Hong Kong customs regulations. Hong Kong is known as a fantastic place to visit during the coinciding Chinese New Year and Spring Festival, which see celebratory events such as parades, fireworks and dances. Being a bustling, highly populated city, there are any number of things to do, with shopping and exploring the city being top of the list, closely followed by cultural visits to ancient Taoist temples and monuments which sit nestled among the skyscrapers. If you want to get away from the crowds, Hong Kong has its own wild side with close-by outlying islands, volcanic landscapes and nature parks to enjoy. Cycling is a great way to see the sights of the city without getting stuck on public transport, or you can take to the hills and woods to explore the hiking trails, such as award-winning Dragon’s Back.